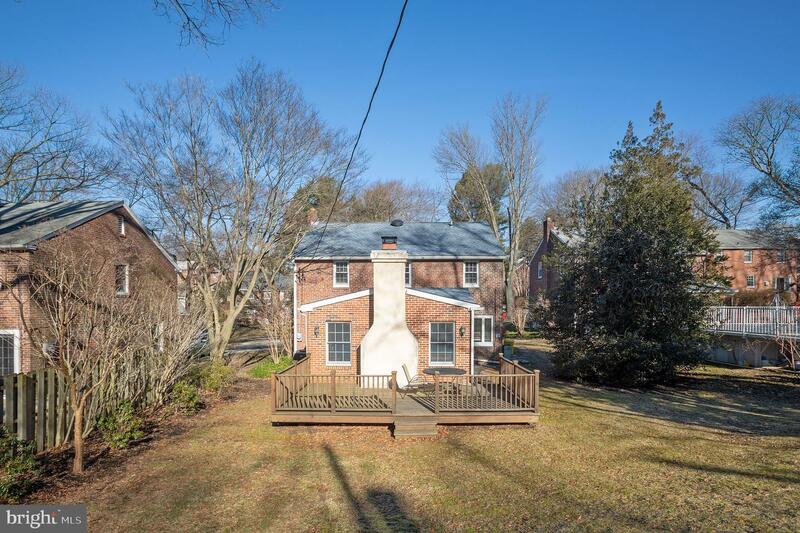 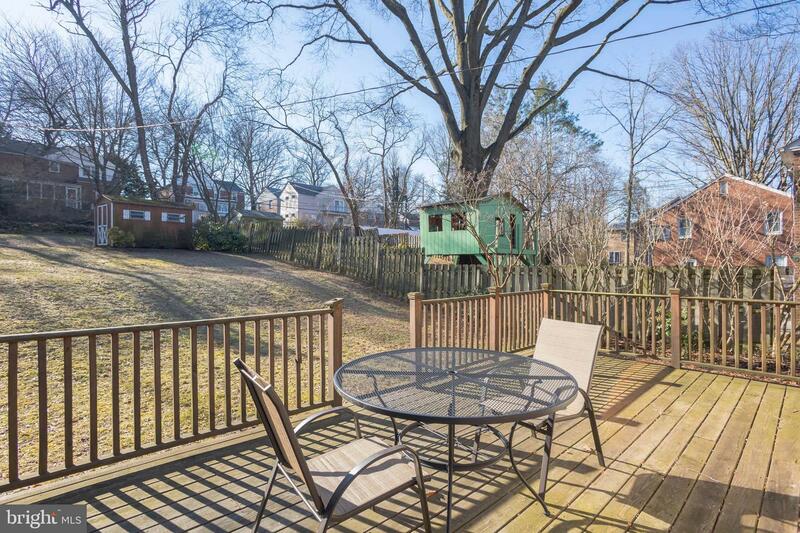 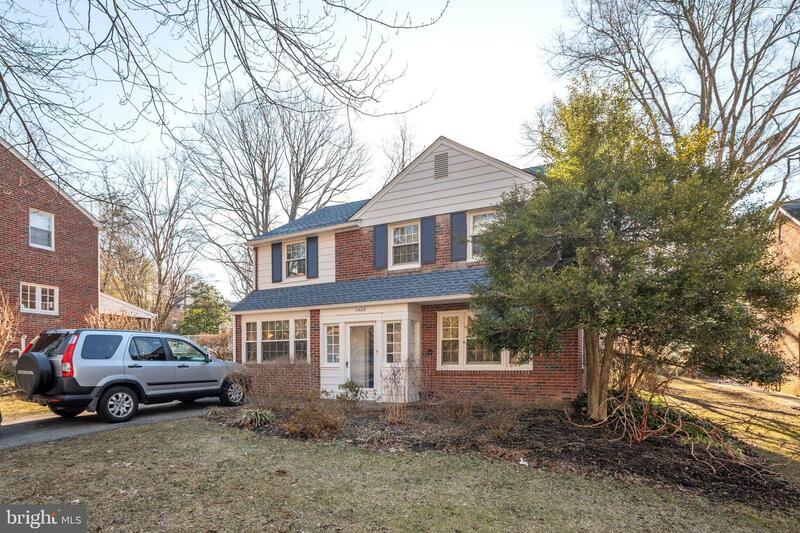 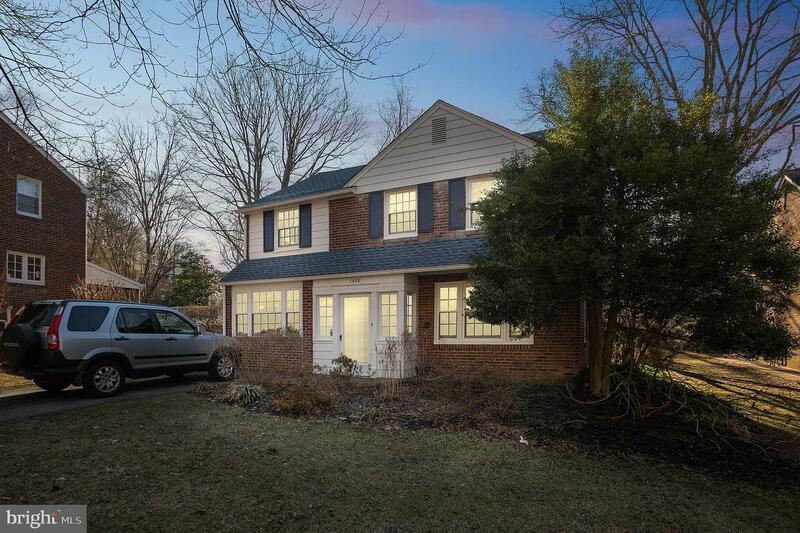 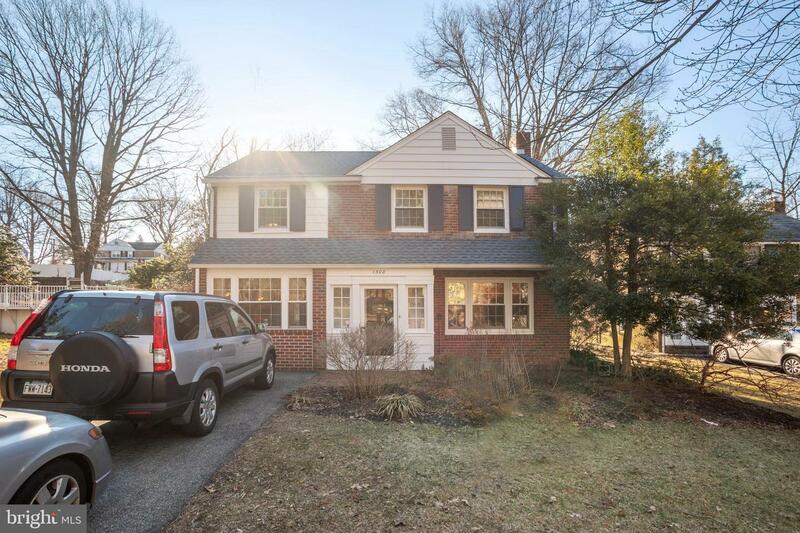 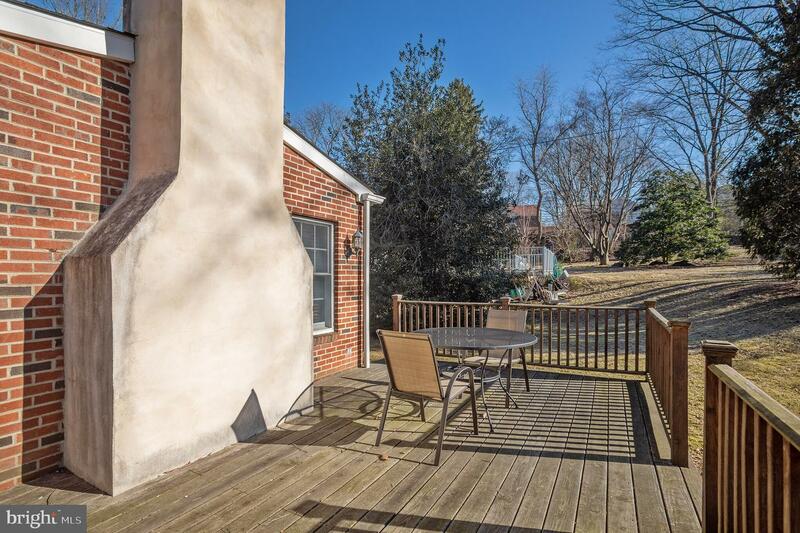 Set in the desirable Penn Wynne neighborhood this brick colonial does not disappoint. 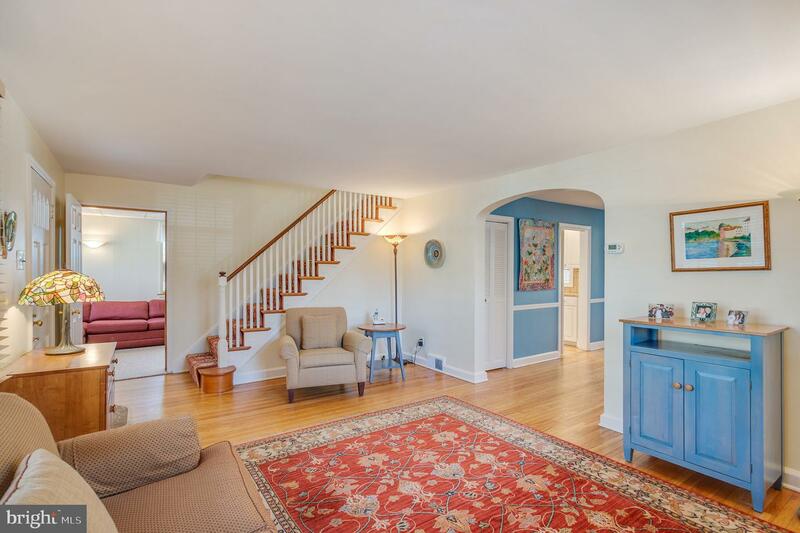 The front walkway leads to a vestibule with a built in storage box. 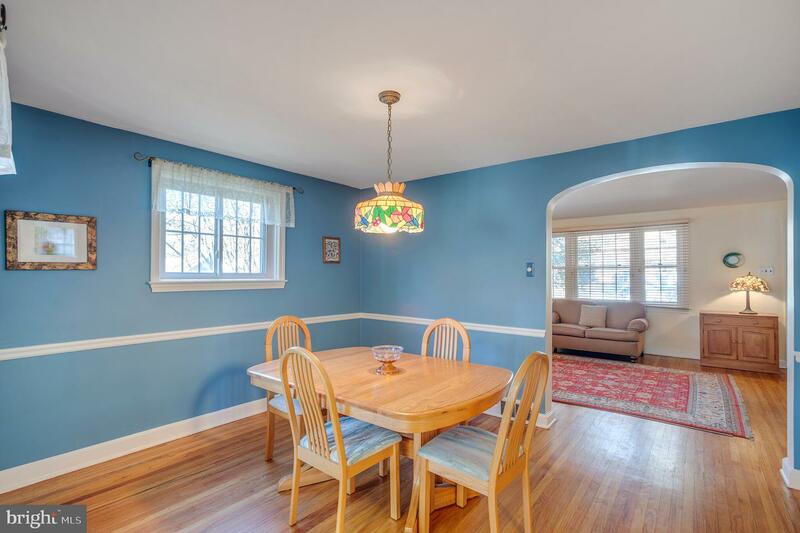 Upon entering the foyer with hall closet there is a large living room, separate carpeted den/office as well as an updated half bath, eat in kitchen and a formal dining room with chair rail. 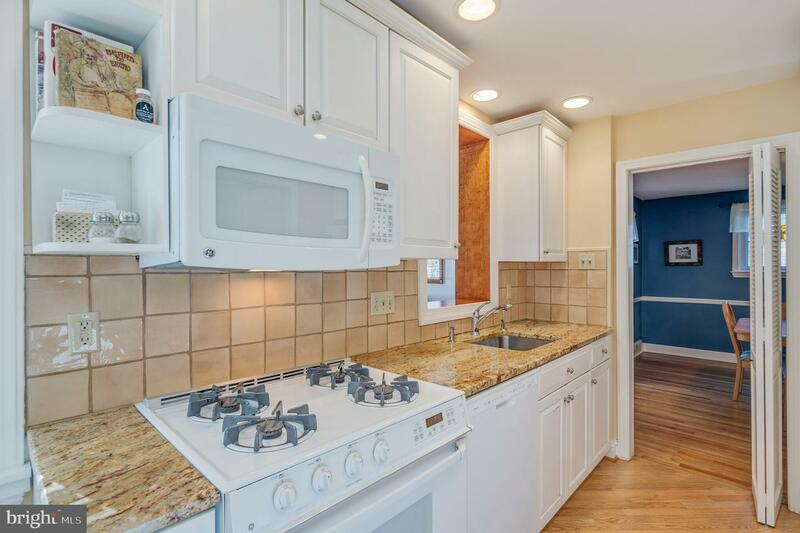 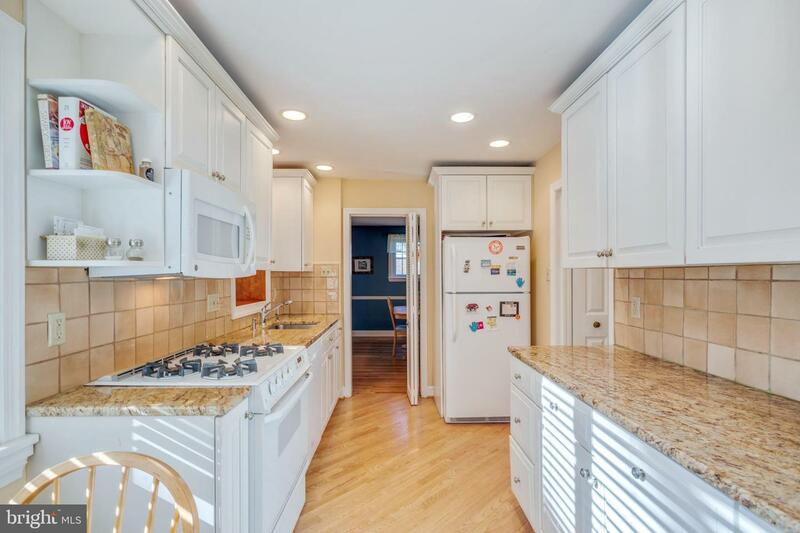 The eat in kitchen features white cabinetry, granite countertops, designer tile backsplash, large pantry, updated appliances and a door to the side walkway and back yard. 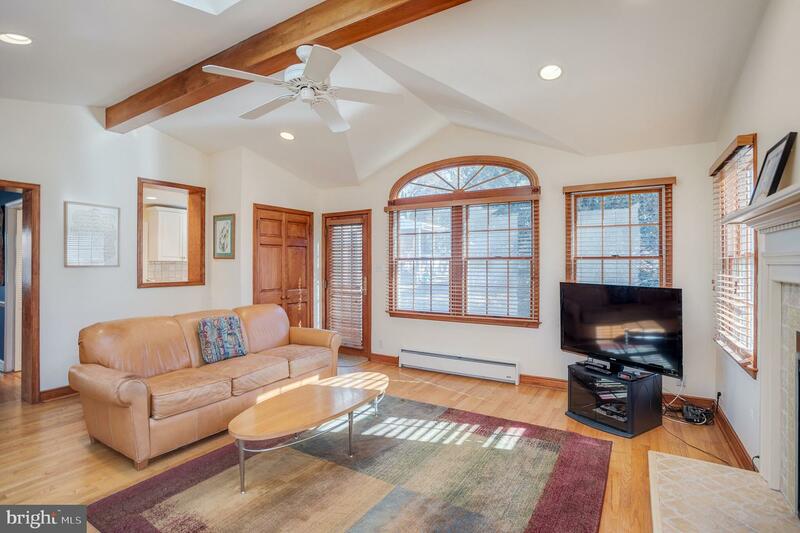 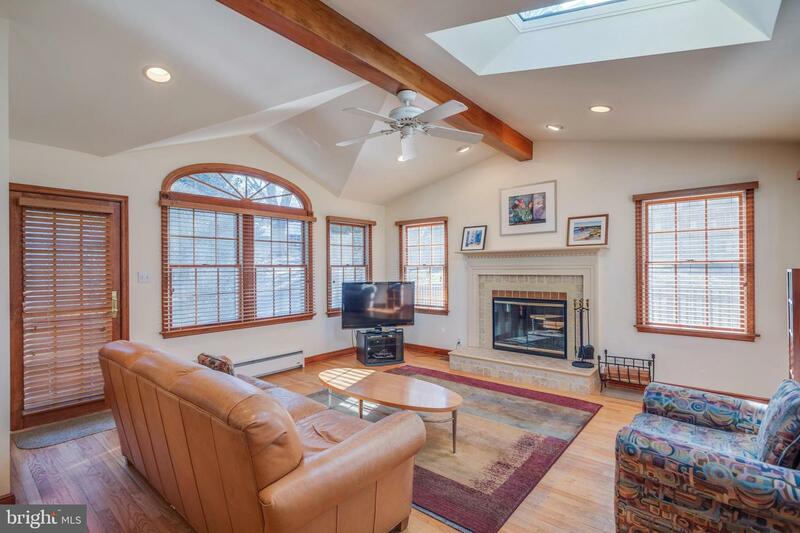 The large family room addition (19~ x 16~) in the back of the house is a stunner with cathedral ceiling, skylight, an exposed ceiling beam, designer windows, wood burning fireplace, large closet and exit to outdoor deck and spacious landscaped backyard. 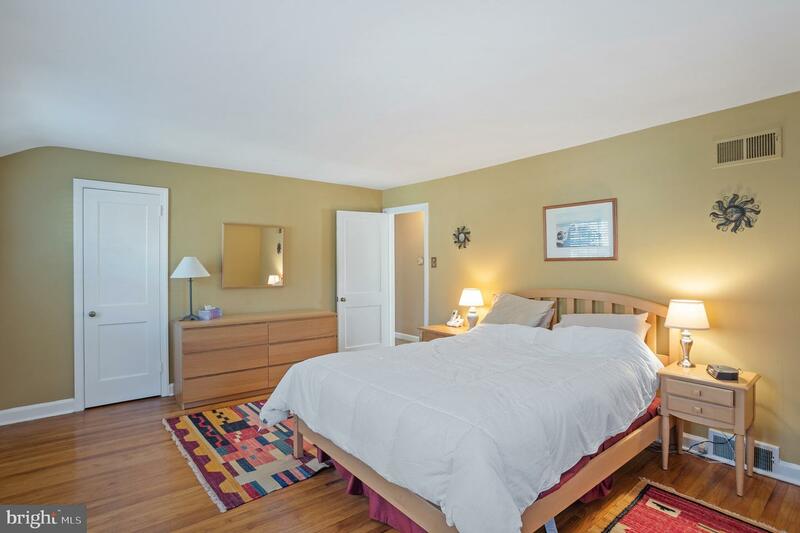 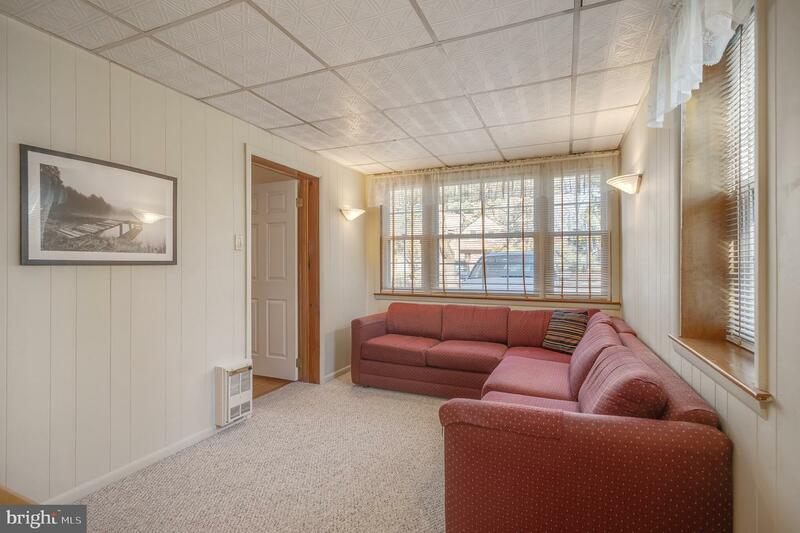 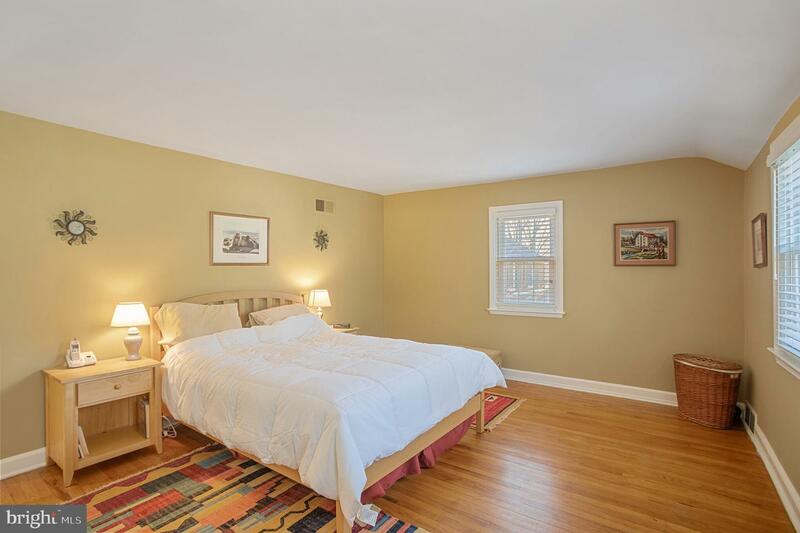 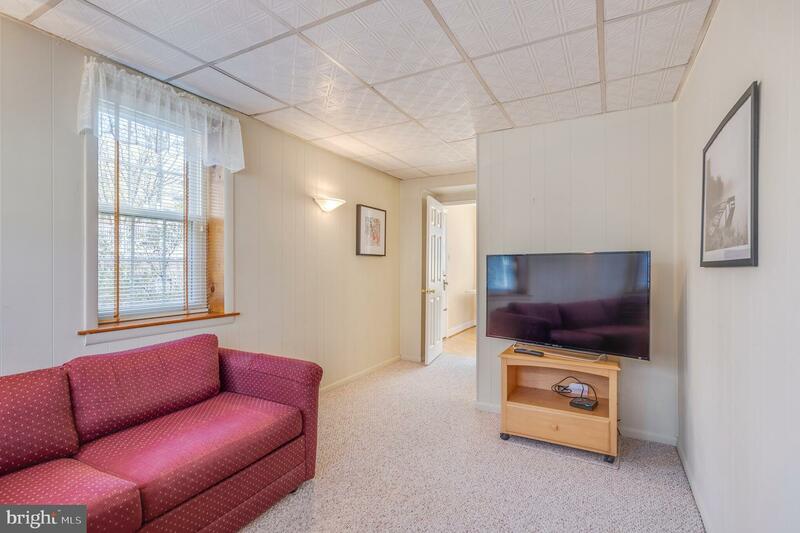 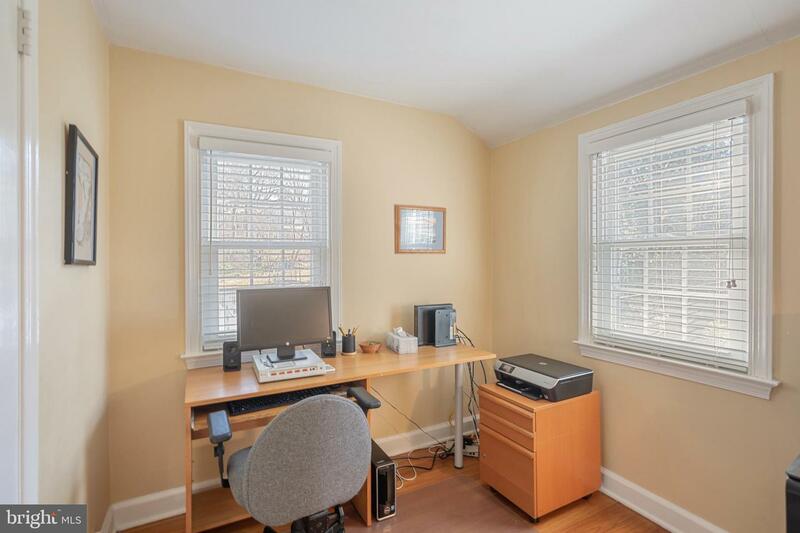 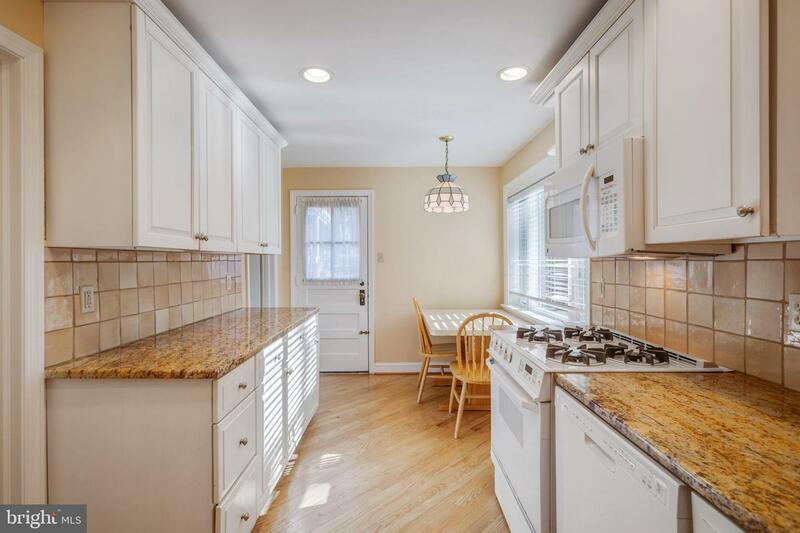 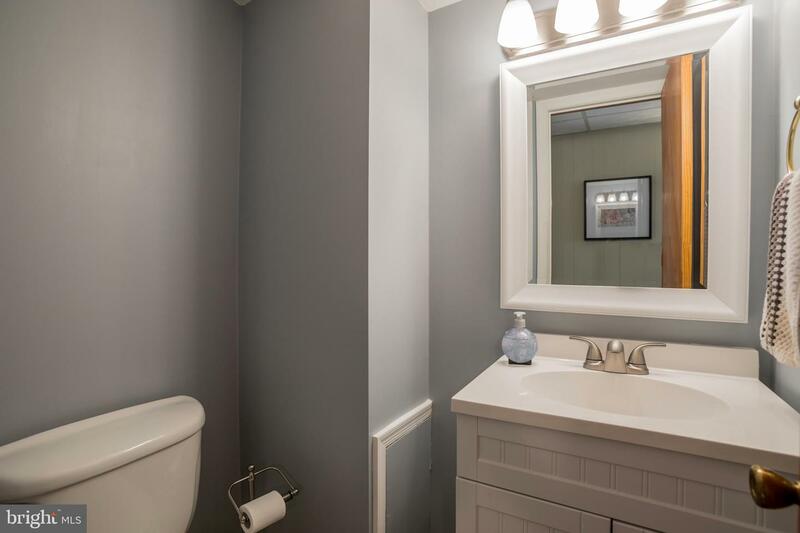 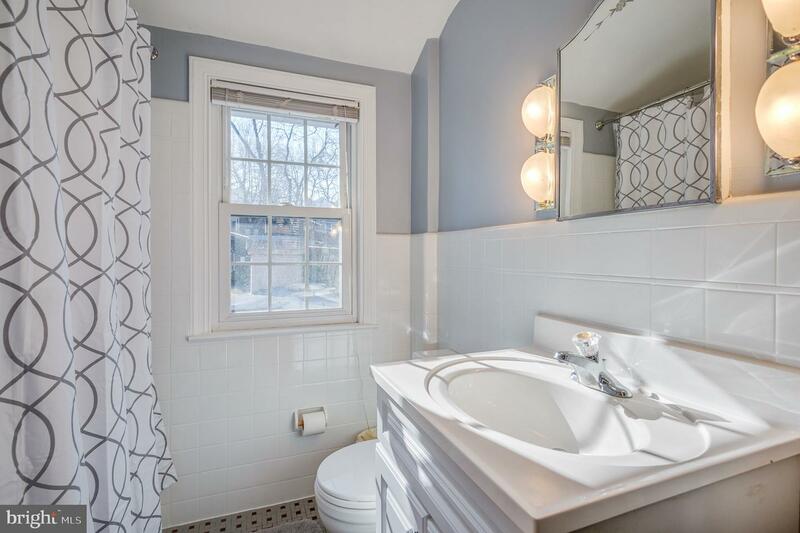 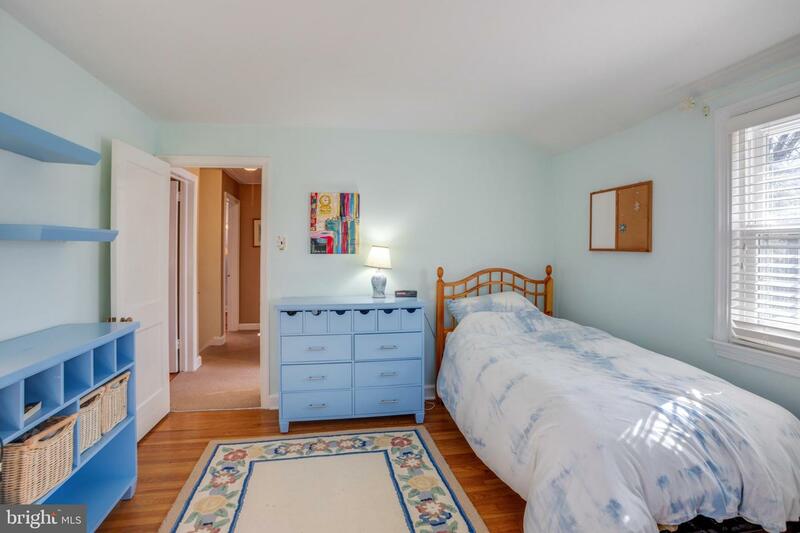 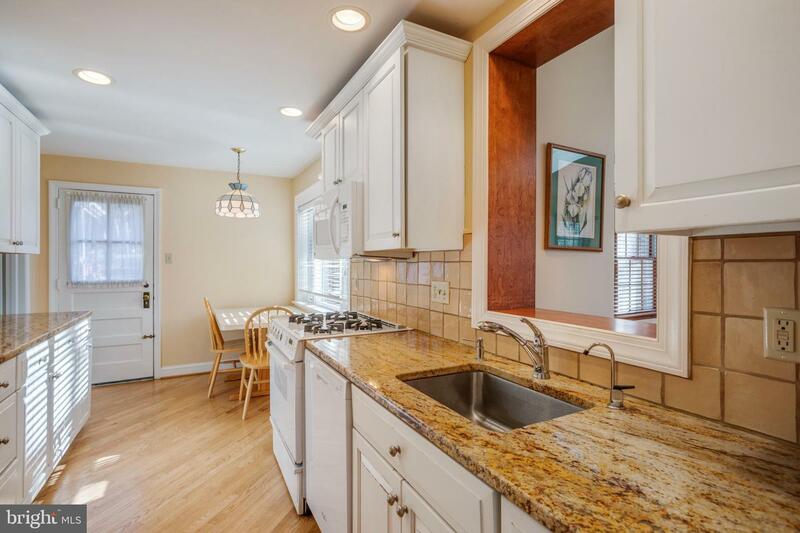 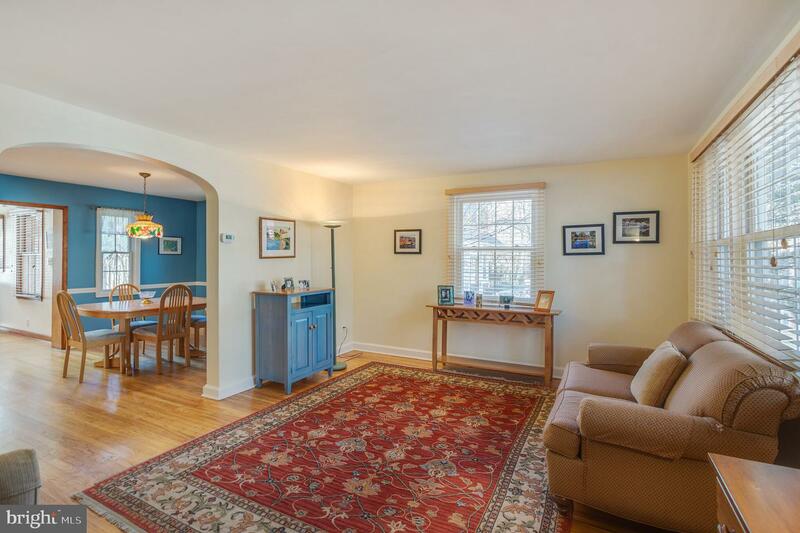 The second floor has four family sized bedrooms, ample closet space and updated full bath. 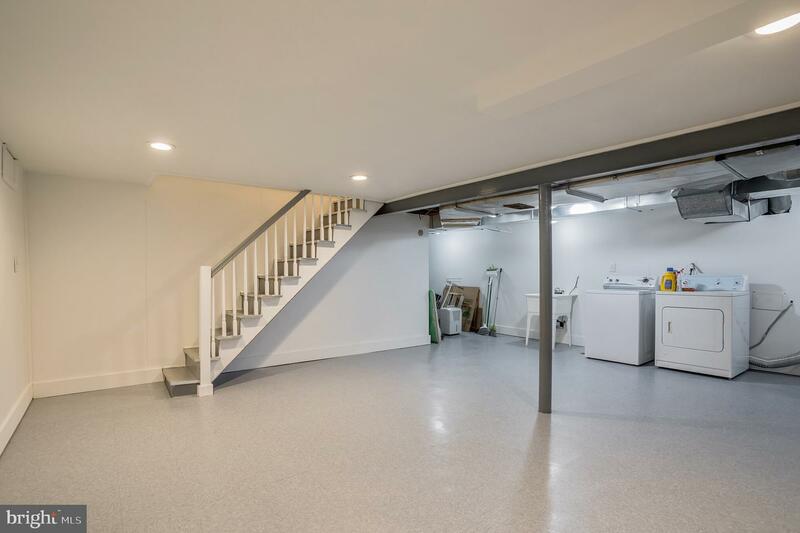 From this level there is access to the fully floored attic that can be used for storage. 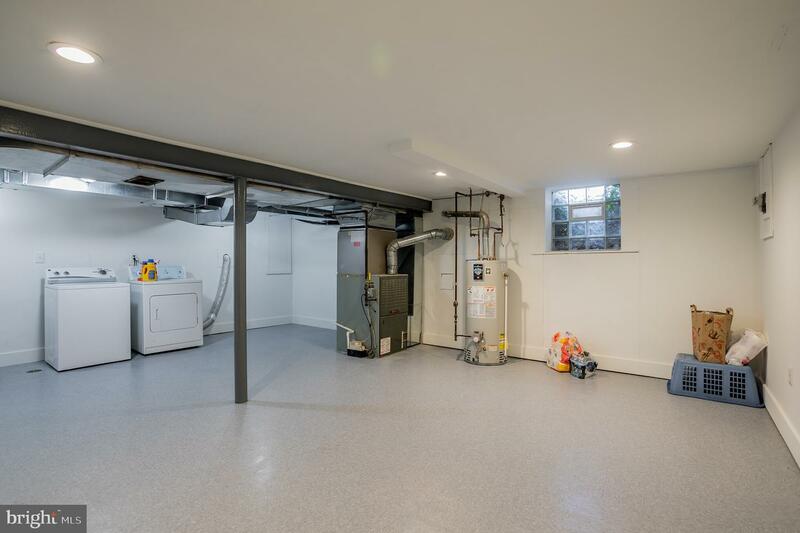 The basement, accessed off the kitchen, has been extensively updated (2018) with new drywall, waterproofing, new banister and railing, updated laundry area, new flooring, ceiling and lighting and freshly painted. 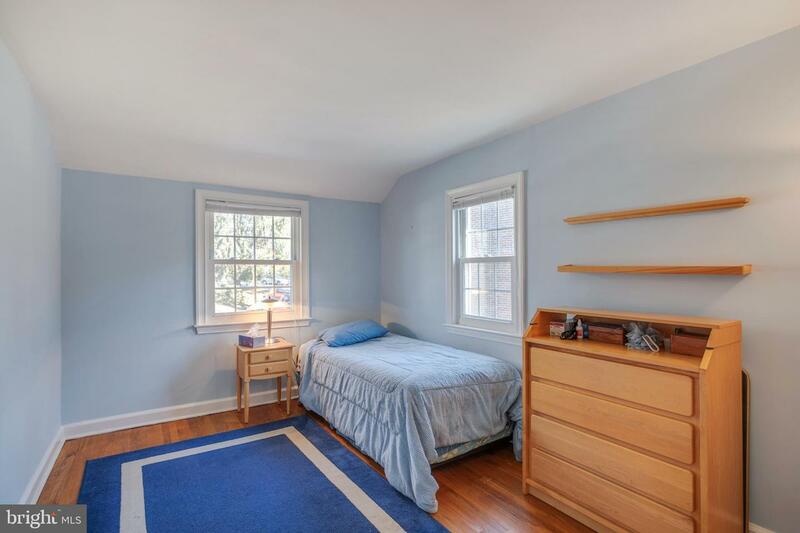 This is a great casual space for kids and storage. 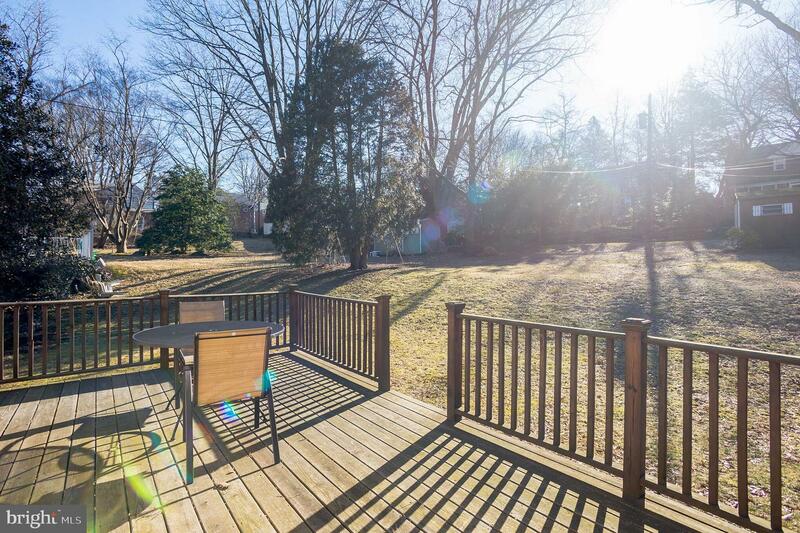 There are beautiful perennial front and back gardens and mature trees. 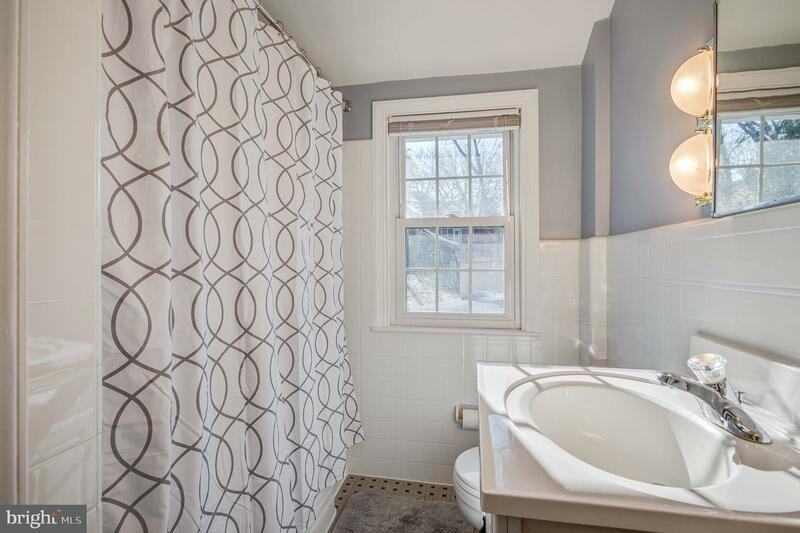 It is very private and a delight in any season. 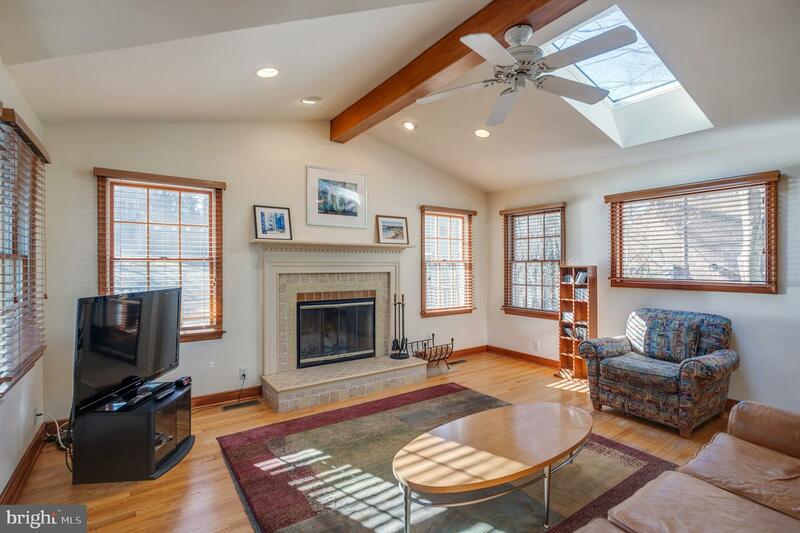 Hardwood floors and replacement windows throughout the home. 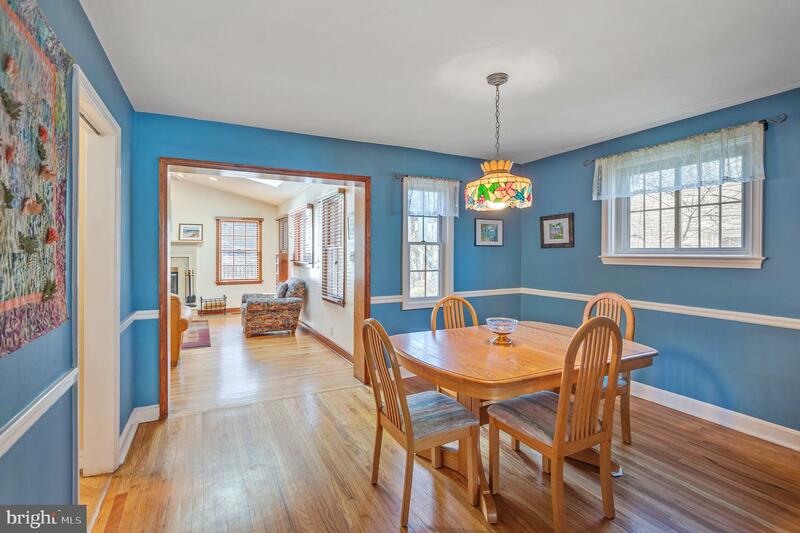 This home has been well cared for and in an ideal location close to public transportation, shopping, schools and places of worship. 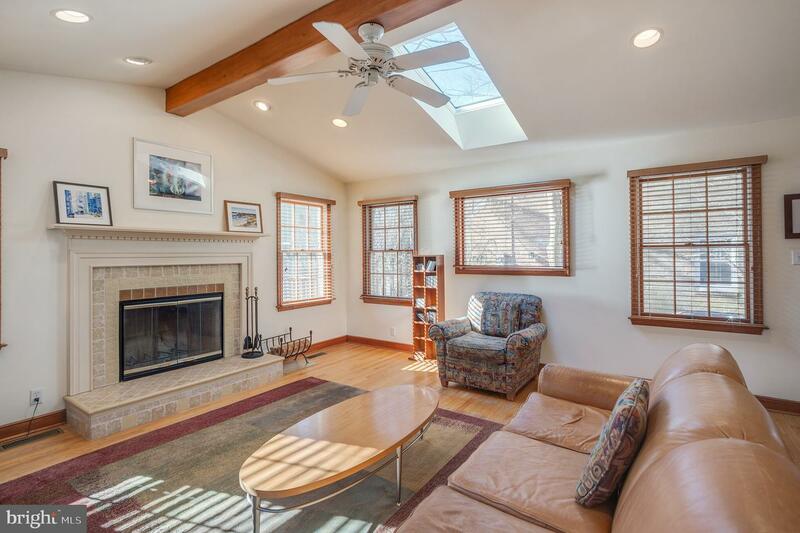 Additional recent updates include roof (2017), HVAC (2016), interior and exterior painting (2014).